Normally, the No. 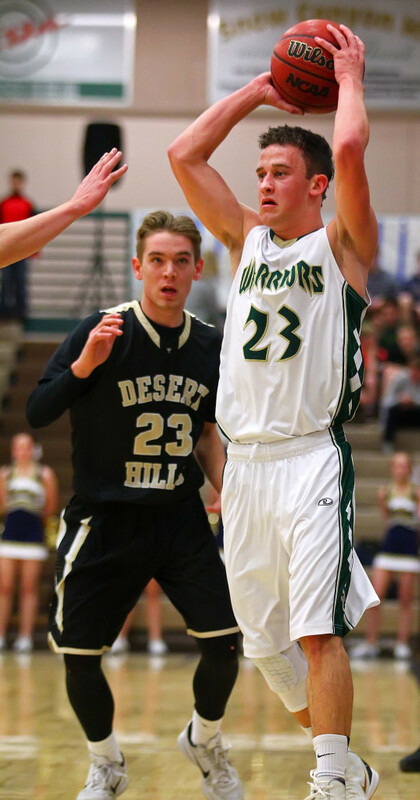 1 team (Dixie) going down would be the big story of the night. And certainly, that is big news. Perhaps the Warriors upset of the Thunder isn’t as big of news. 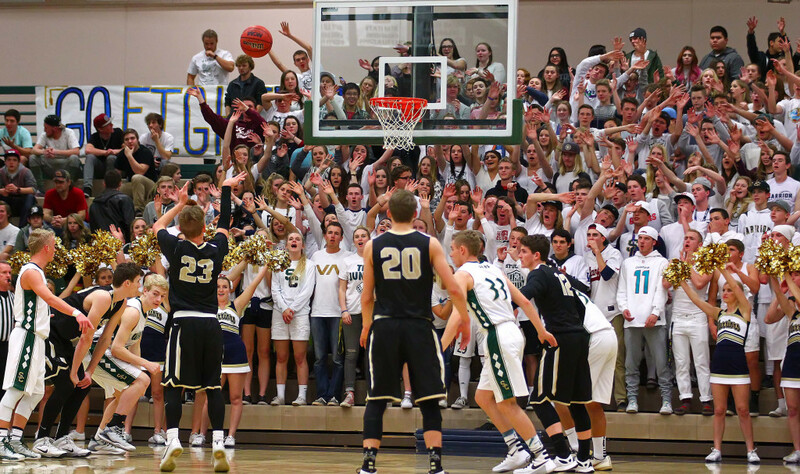 But the WAY Snow Canyon did it is. SC won all four quarters, dominated pretty much every statistical category and had the luxury of resting several starters late in the contest. It was a total whitewashing. The man speaks truth. The Thunder were just 16 of 48 from the floor in the game, 33.3 percent. DH was even worse from downtown, making just 2 of 16 3-pointers (12 percent). 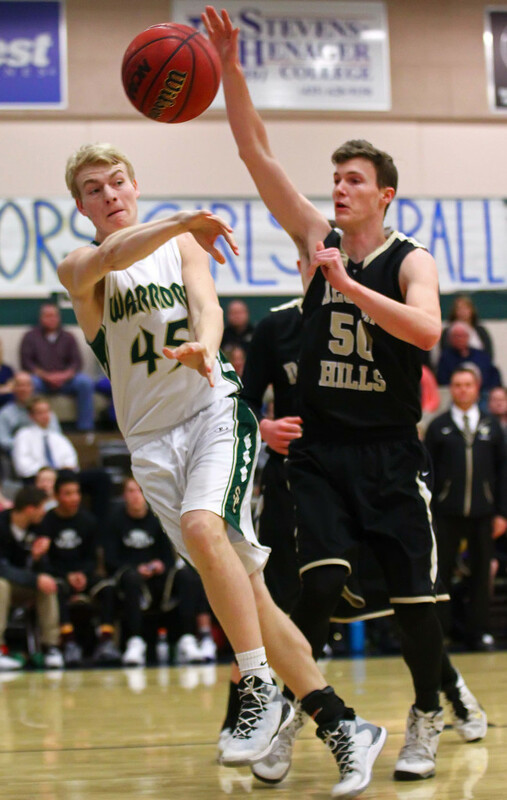 With the shots not falling, D-Hills needed to dominate the glass. 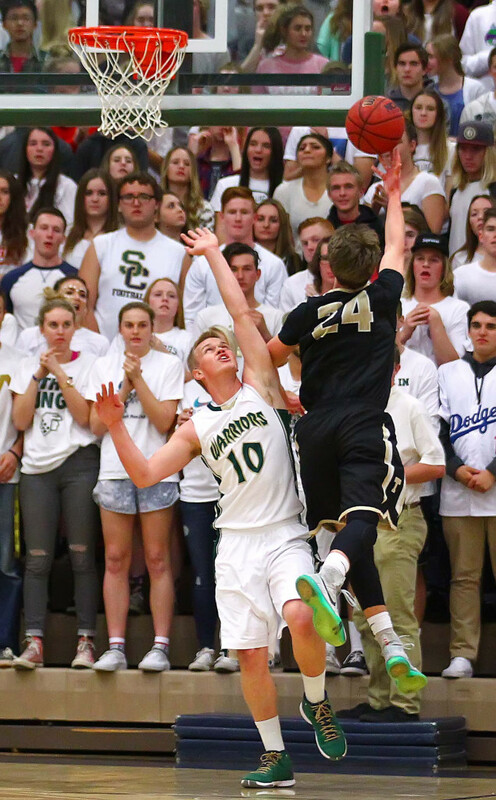 That didn’t happen either, with Snow Canyon winning the rebounding battle 41-29. Five different SC players scored in double figures, led by TJ Taimi’s 13 points. 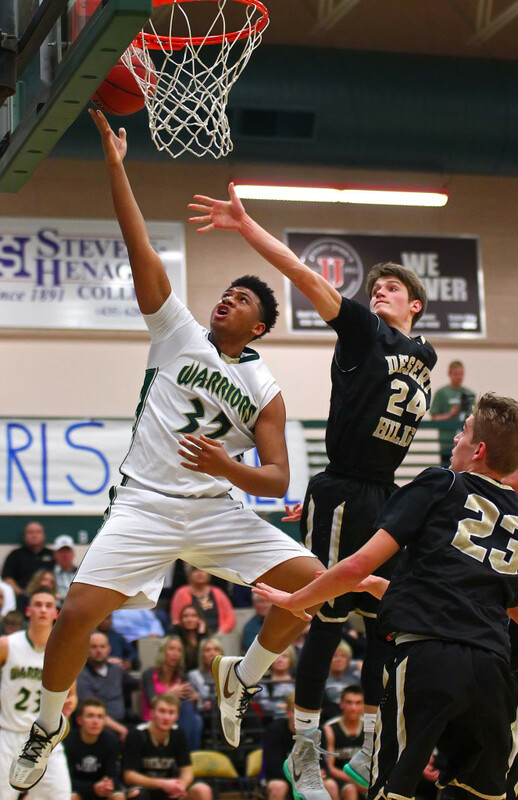 Caeden Barney, Justin Loveless and Hunter Hammer tossed in 11 each and Kobe Tupu added 10. The Warriors were 24-56 from the floor (42.6 percent) and 22-31 from the line (71.0 percent). It was still a game in the latter stages of the third quarter with SC leading 37-31. The Thunder tried to apply some full-court pressure, but the ploy backfired as the Warriors turned the pressure into a 10-2 run in the last 2:23 of the third. The run, sparked by a couple of baskets from Barney, turned a relatively close game into a 47-33 SC lead heading into the final stanza. The Warriors expanded it to the largest advantage of the night at 68-47 with just under two minutes left and cruised on home from there. 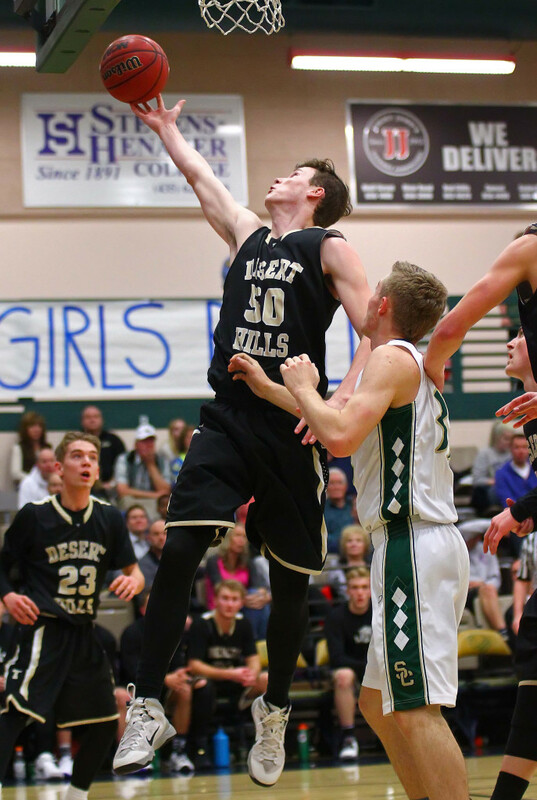 Conversely, Desert Hills had 14 turnovers and gave up 45 points in the second half. Marcus McKone and Logan Hokanson had 10 points each for DH, but combined to go 6 for 20 from the floor and 1 for 8 from deep. 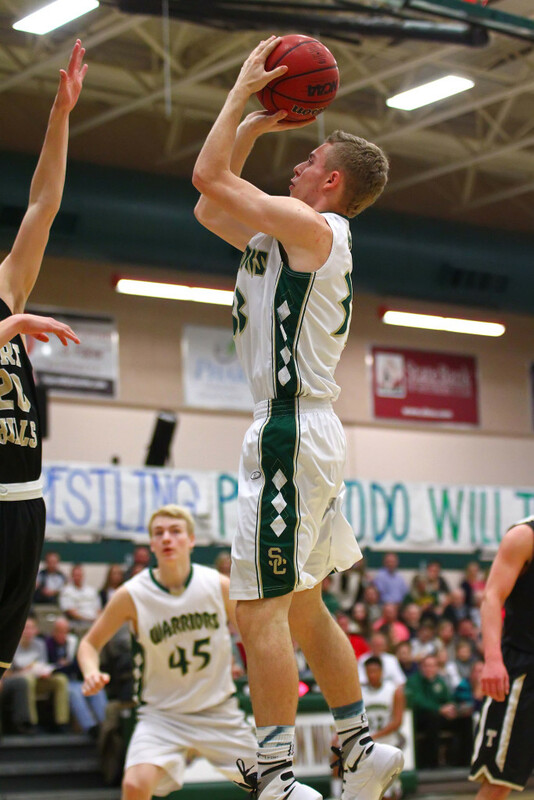 Brock Staheli had 7 points and 7 rebounds for SC, which improved to 6-9 overall and 2-3 in region, tied for fourth place. SC hosts Cedar Friday night. 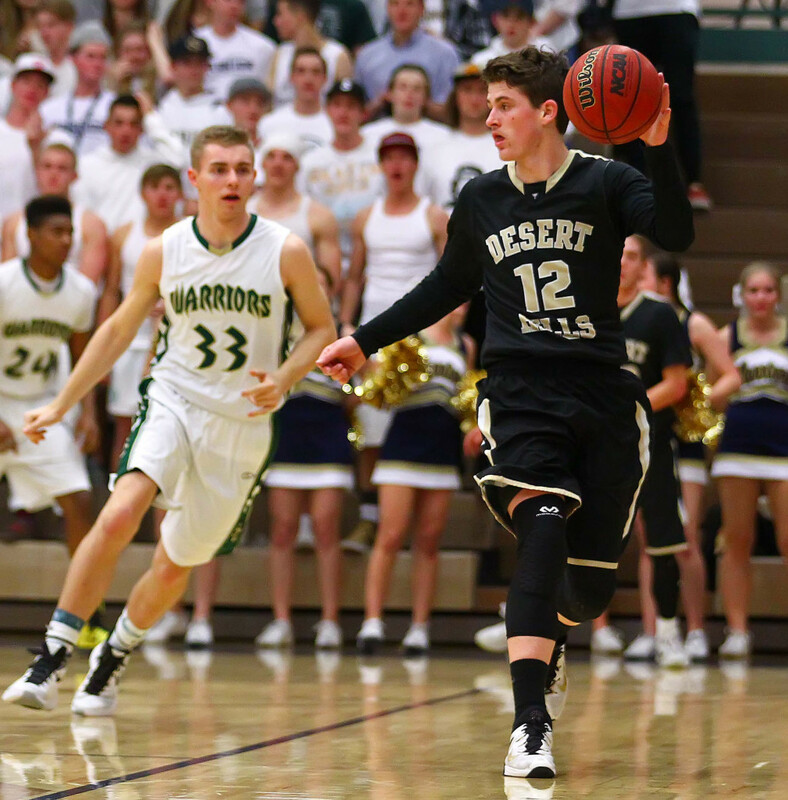 Desert Hills, 13-3 overall and 3-2 in region, is at Hurricane Friday night. To put it mildly, Keenan Nielson’s had a pretty good week. The Cedar junior guard hit a jumper at the buzzer to beat Hurricane last Friday, then followed that up by making a contested layup with 6.8 seconds left to help the Redmen defeat first-place Dixie Wednesday night in a jubilant Cedar gymnasium. Dixie had tied the game on a Nate Crockett 3-pointer with 25 seconds left after trailing most of the fourth quarter. 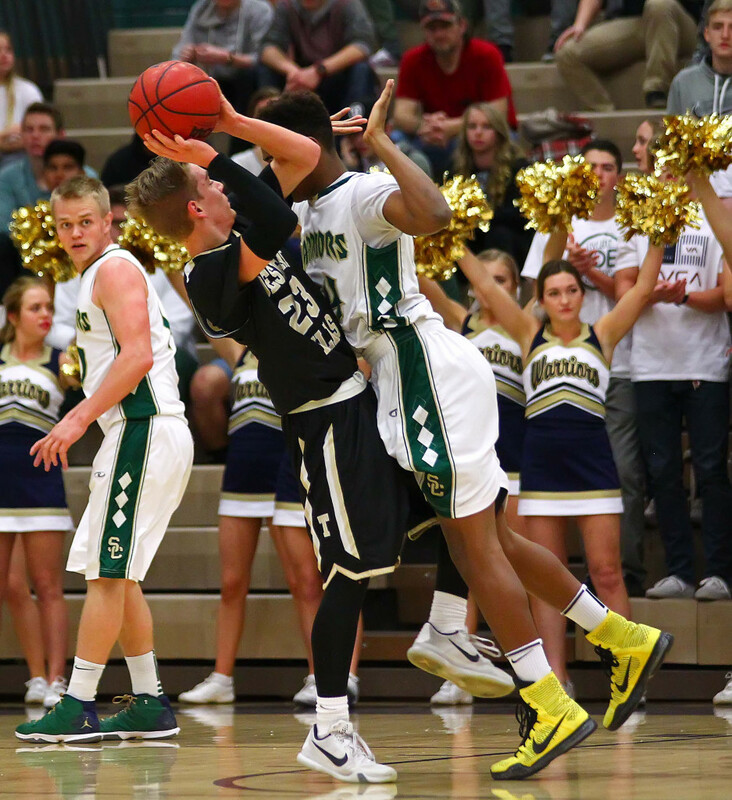 Unlike Friday, when Nielson couldn’t seem to miss in a 31-point effort vs. Hurricane, the 5-foot-8 guard struggled with his shot against Dixie. He entered the fourth quarter having made just two field goals and with 8 points. But his 3-point play midway through the fourth quarter came smack dab in the middle of an 11-1 Cedar run that turned a 40-36 deficit into a 47-41 lead with just over three minutes to play. The Flyers responded with a 3-point play by Tyler Bennett to make it 47-44 with 1:52 left. Mason Fakahua scored inside to make it 49-44, with those two points being matched by Dixie center Richard Guymon’s two free throws with 43 seconds left. After a turnover by Cedar, Dixie drew up a play to get Crockett open and the senior guard nailed the trey to tie the game. Nielson then worked his way open for the game-winner 30 seconds later and Dixie was not able to get off a decent shot as time expired. The game looked like an easy win early on for Dixie. After a basket by Bennett to open the second quarter, the Flyers led 18-4. Cedar scored 6 quick points to make it 18-10. A trey by Crockett just before the half kept Dixie’s lead at 8 at 30-22 and the Flyers stayed on top until the fourth quarter. 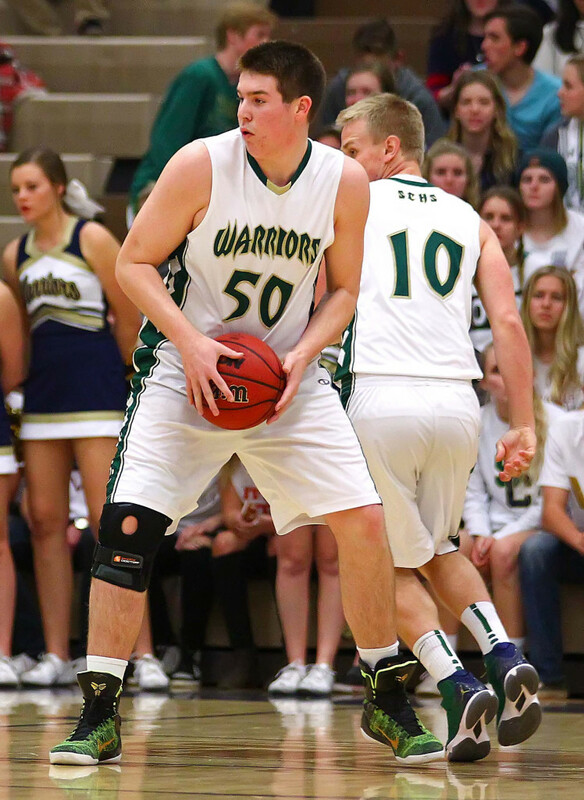 Nielson ended up with 13 points and 5 assists. Fakahua had 12 points and 5 boards. Parker Haynie played big in the fourth quarter and ended up with 10 points and 5 rebounds. Guymon led Dixie with 17 points, with Bennett scoring 14, well below his 22 points a game average. Dixie was 12 of 16 from the line (75 percent) and 16-43 from the floor (37 percent). 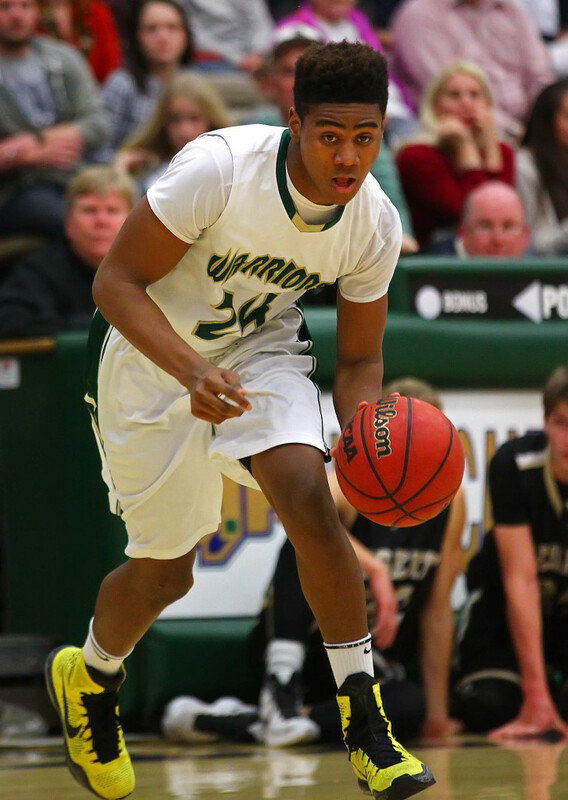 Cedar, which shot 21-43 from the floor, only shot seven free throws in the game, but made them all. 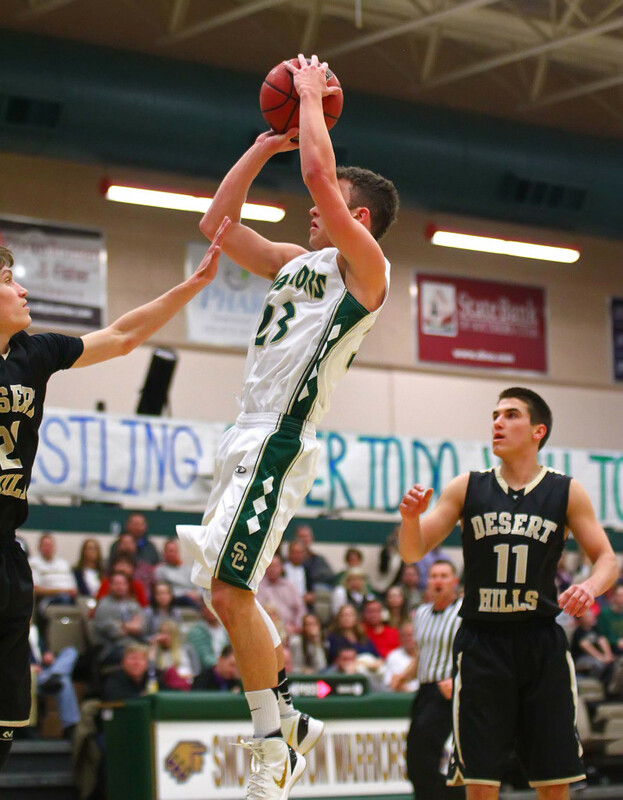 The Redmen, 7-8 overall and 2-3 in region, are at Snow Canyon Friday night. Dixie, 14-4 overall and 4-1 in region, play at Pine View Friday night. Momentum’s a funny thing. Ol’ Mo seemed to be squarely on the Tigers’ backs heading into the fourth quarter after Hurricane scored 7 straight points to close out the third, including a buzzer-beating trey by sophomore Jackson Last. 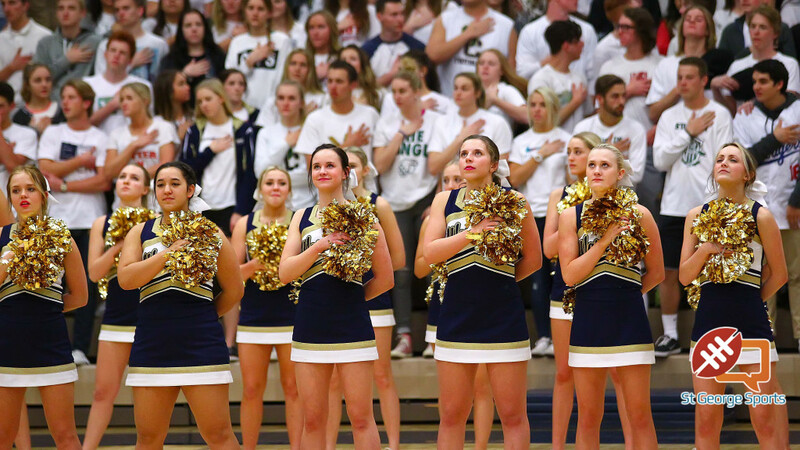 But it was Pine View that owned the fourth quarter, outscoring the Tigers 17-7 in the final stanza and 10-2 over the game’s final moments to secure the win. The game was close throughout, belying the final tally. PV got a 35-28 lead midway through the third quarter after a 3-point play by Steve Bangerter, and it was 40-34 with under two minutes to go in the third. 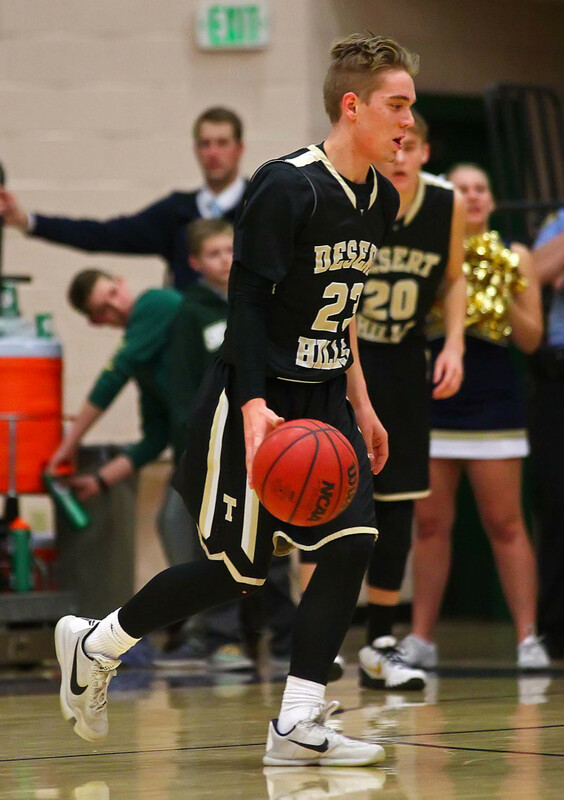 But Josh Parker and Riley Ballard led a Tiger 7-0 run that was capped by Last’s 3-ball. As they had all game long, PV turned to its two post players, Cody Ruesch and Trey Farrer, to regain the lead. Ruesch, who sat most of PV’s last game with foul trouble, was able to stay on the floor most of the night for the Panthers and the playing time paid off in a big way. 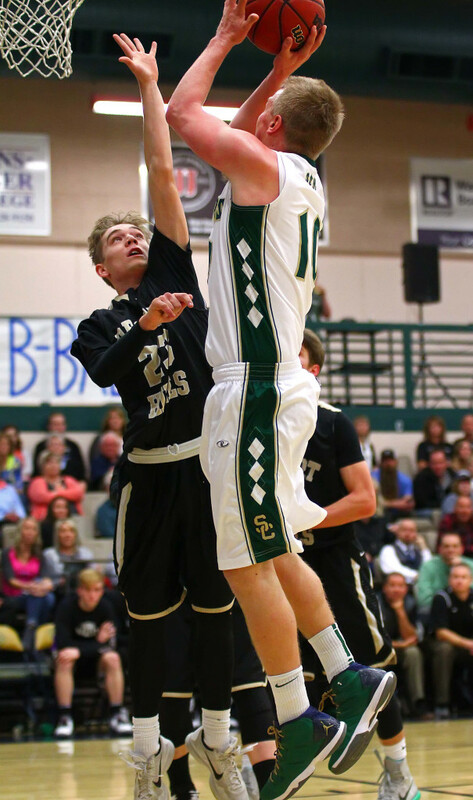 The Pine View forward had 20 points and 14 rebounds. Farrer was also big inside, recording 13 points and 10 rebounds. Steve Bangerter, playing with the flu, still managed 8 points and hit a big 3-pointer in Pine View’s fourth-quarter run. 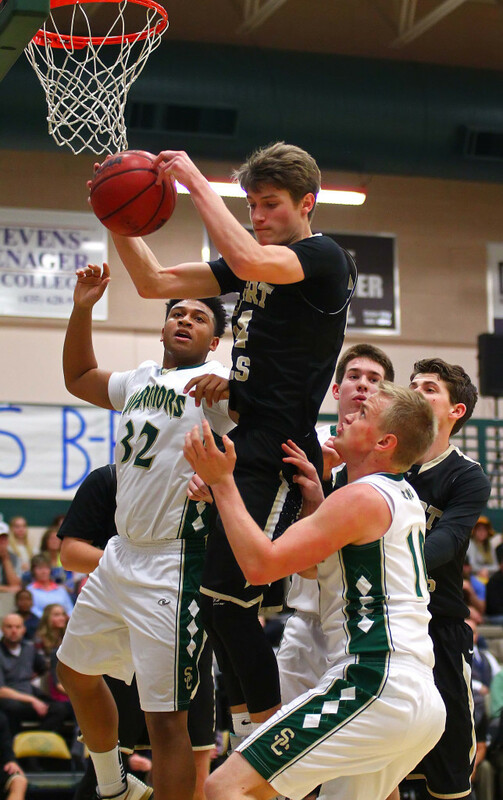 Pine View, 10-6 overall and 3-2 in region, made half of its shots, 22 of 44, but only 10 of 18 free throws (56 percent). The Panthers start the second half of region play with a home game Friday against Dixie. 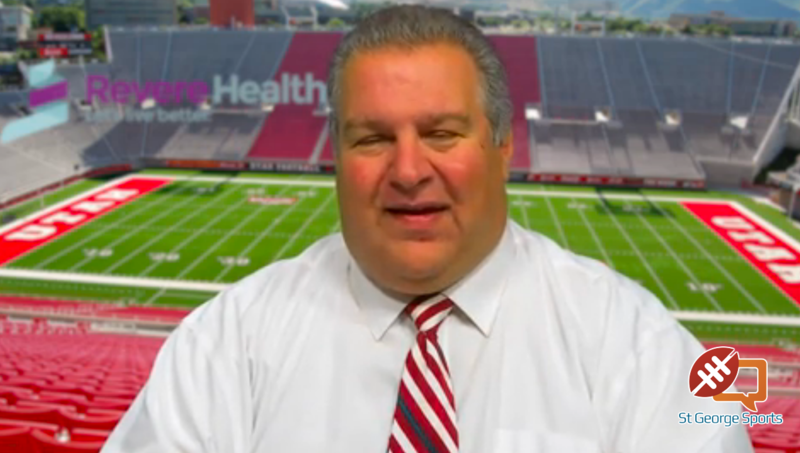 Four out of PV’s final five games are at home. 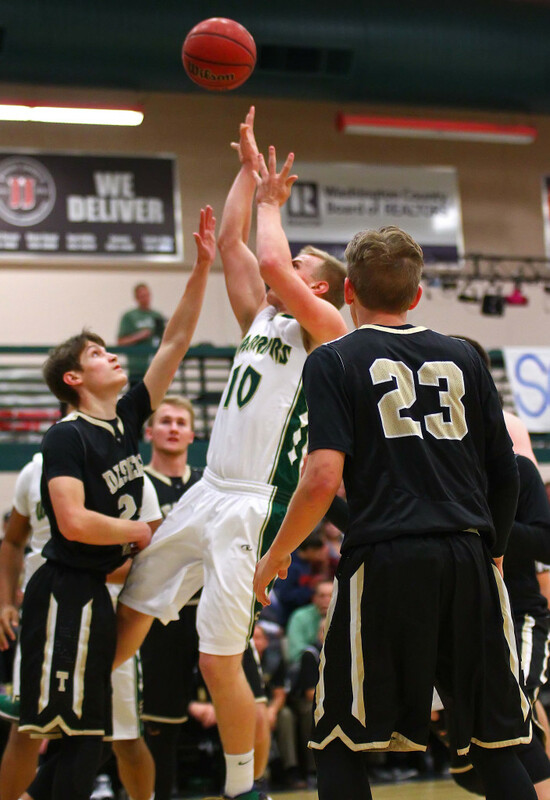 Hurricane, which got 17 from Ballard and 15 from Parker, fell to 8-10 overall and 1-4 in region. 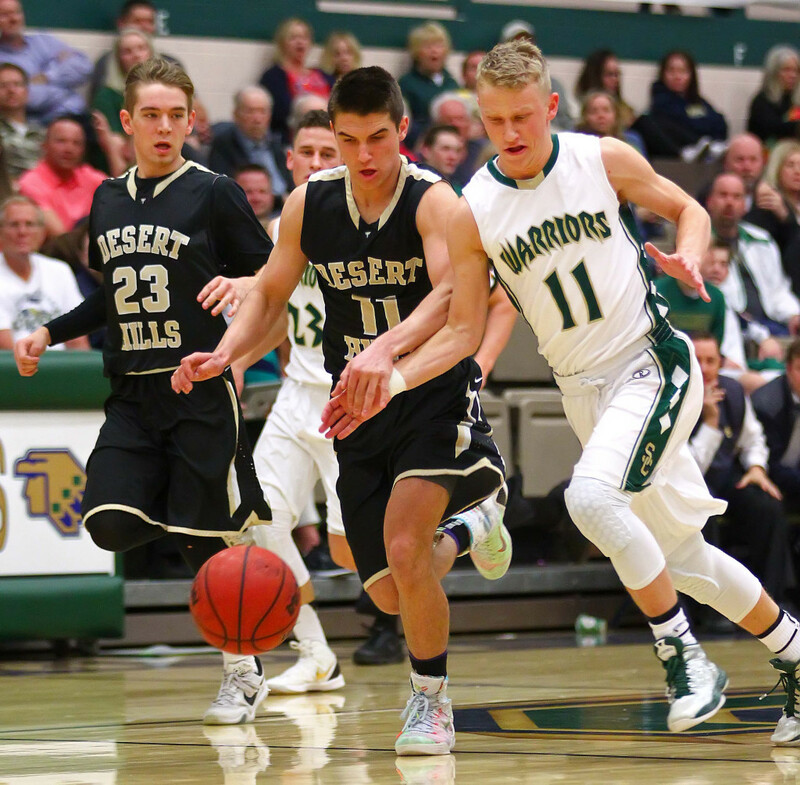 The Tigers host Desert Hills Friday, but have three of their final four games on the road.